Home/Knowledge Base/Email/What is email authentication? 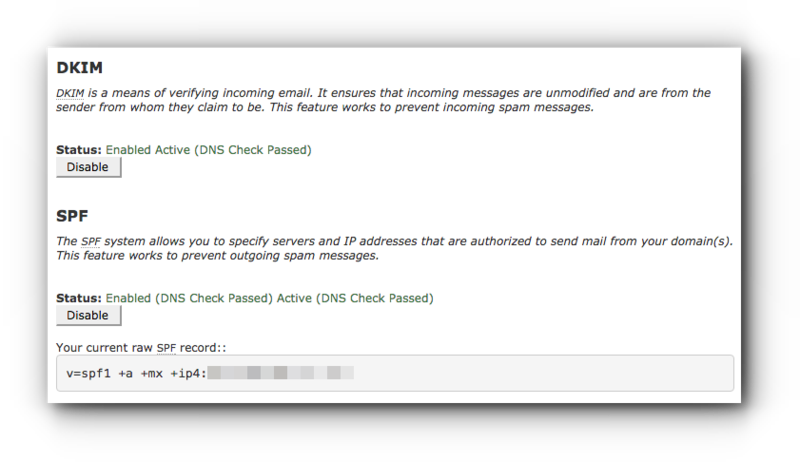 Email Authentication helps prevent spam emails by enabling DKIM and SPF on your cPanel. DKIM is a means of verifying incoming email. It ensures that incoming messages are unmodified and are from the sender from whom they claim to be. This feature works to prevent incoming spam messages. While SPF system allows you to specify servers and IP addresses that are authorised to send mail from your domain(s). 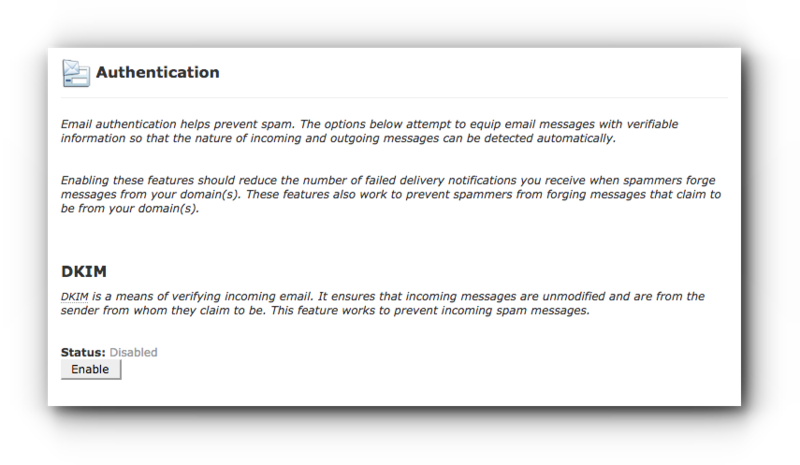 This feature works to prevent outgoing spam messages. You may follow the steps below. Step 2. Click on Authentication under Email panel. Step 3. In the Authentication page, click on Enable button for DKIM. Step 4. Click Enable button for DKIM. Once it is enabled, click Go Back. Step 5. Click on Enable button under SPF. Step 6. In the Authentication page, your SPF record is shown. Step 7. Upon clicking Go Back link, both DKIM and SPF are enabled and should have the same results like the image below.